Payment options : Visa, MasterCard, Maestro and bank transfer. Available languages : English, Spanish, French and Portuguese. Customer support : contact form, email and telephone. Welcome to Lottosphoto! The next platform in our online lotteries review series. This is not one more of the platforms we usually reviewed. At Lottosphoto.com they actually buy a real lottery ticket with your chosen numbers! The company is part of the industry since 2011 and is based in Madrid, Spain. Therefore this explains why their main offer are Spanish lotteries (in addition of EuroMillions) since they actually go and buy the ticket for you from regulated agencies. First of all, you must take into account that the selection of available lotteries online is really limited. So if you are looking for US, Australia or other European countries lotto raffles you can be disappointed. Our Lottosphoto review is a must if you want to use the platform. Read it and take advantage of your knowledge. All our reviews at top10bestonlinelotto.com check the same features for each different platform. As a result, we can provide to our visitors the most important information and comparison between brands. Level of encryption for your personal data security. In addition, regulatory compliance of the platform. What are the lotteries offered at the platform and which modes are available. In addition, we check the side games you can play before or after purchasing your ticket. Offered languages and the site navigation are review. Furthermore we test the template functionality and user experience. How is the site response to different devices: desktop, tablet and mobile devices are review. Most of the online lottery sites are not offering welcome bonuses, offers or promotions. As a result, a platform with this offers will enjoy of extra points in our ranking. Nothing is more frustrating that needing help and not getting any reply. We check the available customer channels and their service quality. 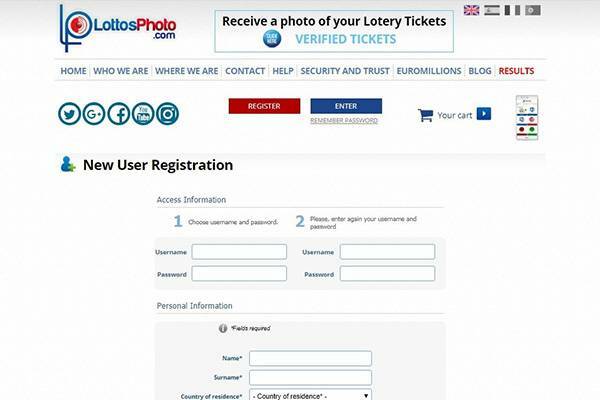 Lottophoto.com has the highest level of security for personal data and transactions. All the data is 256-bit SSL encrypted and the services is provide and monitor by Comodo company. The site is not licensed by any governmental gambling commission. Due to the fact they are not actually selling tickets, rather providing the service of purchasing the raffle for their customers. The name of the site Lottosphoto can sound a little weird, but it comes from the fact that after buying your ticket you will get a photography of it. 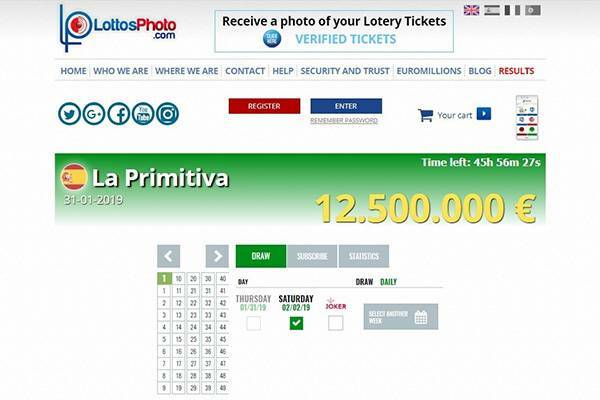 One of the most weakest things of the site is the small number of lotteries offered online. Due to the fact that they can only buy what is sell locally at Spain, this seams really logic. 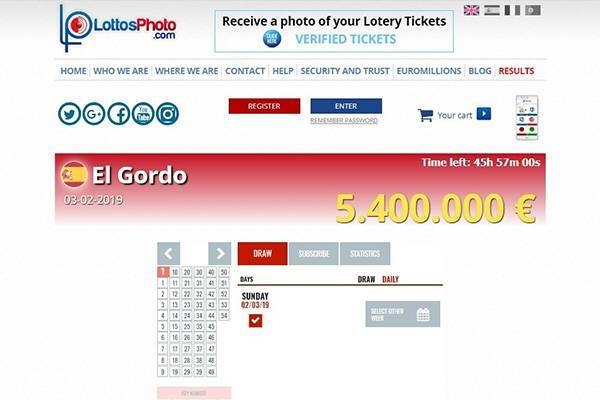 At Lottosphoto.com you will be able to buy tickets for the following lottery draws: EuroMillions, El Gordo, La Primitiva, Bonoloto and Loteria Nacional (National Lottery). Especially relevant is the absence of syndicate lotteries. But again, they only provide the service of going to a local official lottery agency and buying it for you. Lottosphoto website is available in four languages: Spanish, English, French and Portuguese. They also have a button that will directly translate the site using Google Translated services to any desired language. The platform design is very simple and the appearance is a bit vintage. You will not find pages with many content nor impressive images or functionalities. 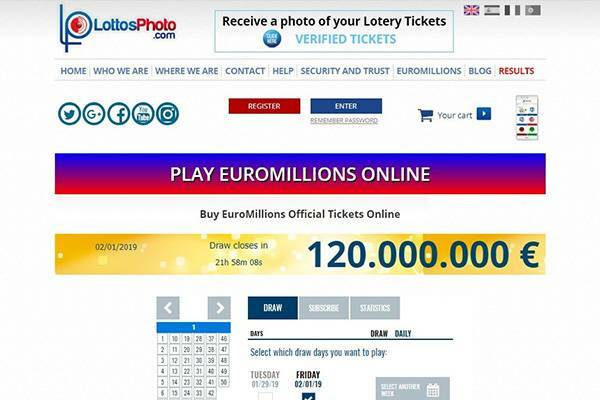 Probably the fact of focusing on reselling five lotteries is the main explanation to the site look and feel. Lottosphoto site is currently available for desktop, tablet and smartphones users. The responsive theme of the web will automatically adapt the site design and elements to the size of your screen. You will not experiment major changes between one view and the other. Just the size of the elements and how they are arrange at the screen. Since the Lottosphoto.com website is very simple and old fashion, your desktop view will be in consonance. As we always mentioned, we think that for gaming purposes the desktop computers are the best ones. You will be able to use your Android or iOs tablets without any inconvenience. Just take into consideration that the screen size will limit the amount of information showed. Smartphones view follows the line of the tablet view, but with more limitations due the screen size. Functionality and purchase are completely allowed and are still easy to complete. From one side, Lottosphoto is not charging any fee for using the site and doesn’t takes any percentage of your winnings. From the other side, the platform is not offering any promotion or bonus. Both new and existing customers are have the same options: buying online lottery tickets without any promotion. While the customer support rate of response is high, sometimes they take their time to complete the tasks. Furthermore, you will enjoy from the most popular channels: Email, telephone and contact form. Finally, we think that they need to add a live chat channel since this is the most quick form of contact between the brand and the users. The contact form is available at the Contact section of the lottosphoto.com website. Is really similar to emails, without the need of getting out the site and using your personal mail. You can contact the customer support department just calling to telephone: (+34) 91 178 19 92 or sending a fax to : (+34) 91 217 51 89. This channel is great if you want to get instant service and a fast response. Just take into account that the international phone calls are not for free. Just write your question and wait for the customer support response. While the Lottosphoto offer is not the widest one, you must acknowledge that the reason is respectable: they cannot physically buy what is not available at Madrid. While we think they have plenty to improve (site design, payment options and promotions) the Lottosphoto.com service is impressive: You are really purchasing a ticket for the millionaire raffles! Due to the absence of syndicates lotteries, the simplicity of the template and the lack of promotions we decided to rate Lottosphoto platform with a 4 over 5. Still a great score for the brand for delivering the real thing! We ask ourselves at each review if the platform we are writing about is a legit business. In this case, we will answer to the question: Is Lottosphoto a scam? 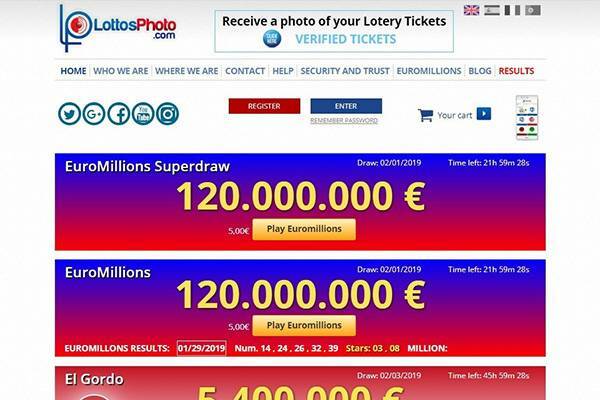 If we take into account the highest level of encryption for data and transaction, the Comodo security certification and most noteworthy the fact you will get a photograph of your lottery ticket, we can say that the platform is fair and secure for every user.